Holding fish that you have not sold. As we say time and again, we do not believe that the lack of a market will ever be a reason for you not to be able to sell your fish. However, it is a good idea to begin to establish your market by commencing with HALF your designed production capacity to begin with. This does two things for you. You will make enough to cover costs this way. And as you establish your market it will buy you time to grow production into that market. Of course, if you areusing our APUs you also have access to an offtake agreement with us which is handy. 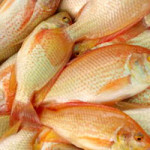 When you are in production of your tilapia there is no time to hold fish that you have not sold or cannot sell. Harvest them immediately and get what you can for them. 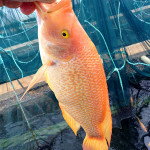 If you fall into the trap of trying to keep the investment into these fish that you have made via time, effort, feed and energy you will back your entire system up and eventually your farm will do your work for you and kill fish en masse. If worst comes to worst freeze the fish whole. Sell them to cat lovers as pet food at R35/kg. Sell ’em on a bun with some lemon butter and black pepper and a slice of camembert at your local market at R100+/kg. But make a plan and be rid of them. 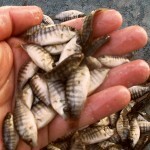 You cannot recoup costs by keeping fish you cannot sell by throwing more money at them. 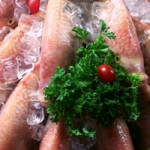 Rather take the hit, and wait for your market to open up to the fact that you are producing delicious tasty fresh fish. Running before you can walk. We call this the save your self principle. Yes our financial models look attractive at full production. But anyone can farm fish off a spreadsheet. Get yourself comfortable to begin with and build up some skills, some know-how and some confidence in the business. There is nothing wrong with starting small and covering costs – which happens at just under half maximum production. Do not be fooled into thinking you can hit the target from day one without ever having done this before. 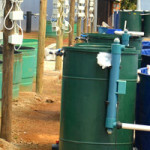 If needs be sacrifice the early adopter advantage and buy one single tank and grow fish in that tank for 6 months. 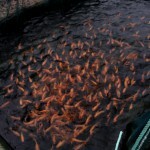 Then hit the big time and buy the entire farm… Fish farming is a long term business after all. BEBTAs will kill you. Hard and fast actual production data will save you and it will build you a substantial and meaningful business. Your business plan will revolve around key assumptions that you make that will either be prove to be true, somewhat true, somewhat false or false. Some assumptions will not have a major impact on the finances of your business but others will be material. It is experience that will show you which are the important ones and as we have continuously stated many times, production assumptions are the easiest to manipulate on your spread sheet and the production assumptions are the most influential. Err on the side of caution, and then add more caution. If a BEBTA states something to be true, you need to verify it and you need to verify it perfectly. In this your common sense will serve you well and you are encouraged to use it by asking as many questions as you can about the assumptions.